Selling your home in Northern Colorado is much more complicated than putting a sign in the front yard. You need a savvy real estate professional at every step; from pre-list considerations through closing. The NoCo New Home Team has 3 award-winning, knowledgeable and nimble Realtors who can get your home sold. We can help you find the information you need to make selling your home an enjoyable experience. We’re always available to discuss your real estate needs. We invite you to meet with us to understand our proven marketing systems to expose your home to the maximum number of qualified buyers. We’ve got Northern Colorado covered! 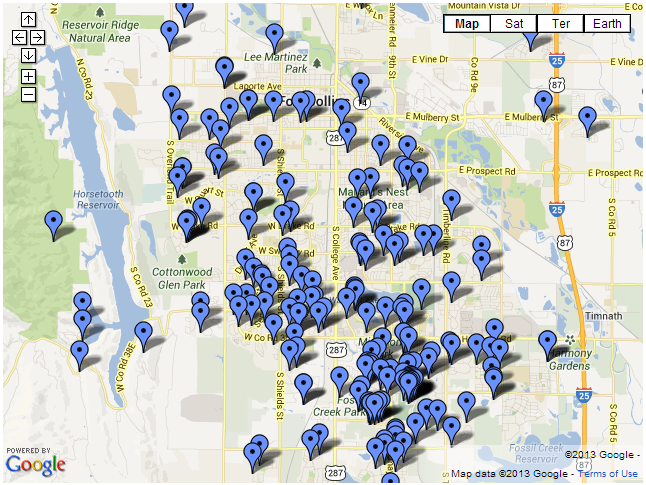 Click the map to the left to see where we’ve sold homes – each pin-point represents a home that the NoCo New Home Team has sold in our combined 60+ years of experience. You deserve to work with Realtors who know the market well, we certainly do. Chances are we’ve sold in your neighborhood. Our unique blends of experience and background help us stand out from other Realtors and real estate teams. Because of our collaboration, we are able to serve you flawlessly from start to finish. Versatile and Savvy – We are well versed in all types of real estate needs from residential to commercial, single family to attached homes and multifamily, investment opportunities to development prospects. We have an individualized approach to suit your specific needs. Connected to the Community – Not only are we well connected within the Real Estate industry, but we are also deeply connected to Northern Colorado. We know the people, the market, and real estate values. We understand what is important to the consumer and can leverage our professional connections to create opportunities for you. Experienced and Knowledgeable – We have the experience necessary to assist you in unique real estate contracts and difficult negotiations to get the deal done. We can educate you on the entire process and prevent hold-ups before they become major issues. Committed and Available – The NoCo Home Team consists of three, full-time, professional Realtors who are always available to meet your needs and solve your problems. Real estate doesn’t wait and neither do we. You’re not just another client – we aim to make you feel like you’re our only client! Professional and Personal – As professional Realtors, we operate under a Code of Ethics enforced by the National Association of Realtors that ensures you’ll be treated fairly and professionally. On top of that, we want to make you feel good about your real estate transaction and personalize each sale to fit your needs. An overview of important tips to sell your home quickly and for a better price. Putting in an offer when you current home still needs to sell. Tips and tricks to make it easier and more attractive! 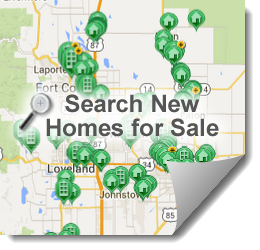 “How to” guide on being the ultimate home buyer or seller in Fort Collins, Colorado. Is your listing a little stale? Add in some dazzling incentives to attract the maximum amount of buyers. 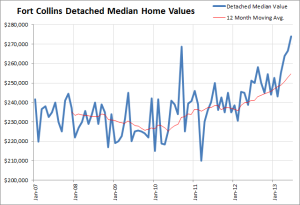 Dealing with logistics of home buying and selling in Fort Collins, Co. Some people literally stay in homes for much longer than they have to because they cannot simply fathom the headache and logistical nightmare of trying to buy a home while selling their home..
Understanding real estate statistics, trends and market information can give you a competitive advantage when selling your home or planning your next real estate undertaking. To leverage the NoCo New Home Team’s knowledge and expertise please contact us so that we can provide you with a specific, individualized market analysis to value your home or a unique market report full of our commentary and market interpretation. We also invite you to utilize our research resources to keep you up to speed on market trends.